Post-traumatic stress disorder (PTSD), like many mental illnesses, is misunderstood. Myths abound concerning adults suffering from the disorder. 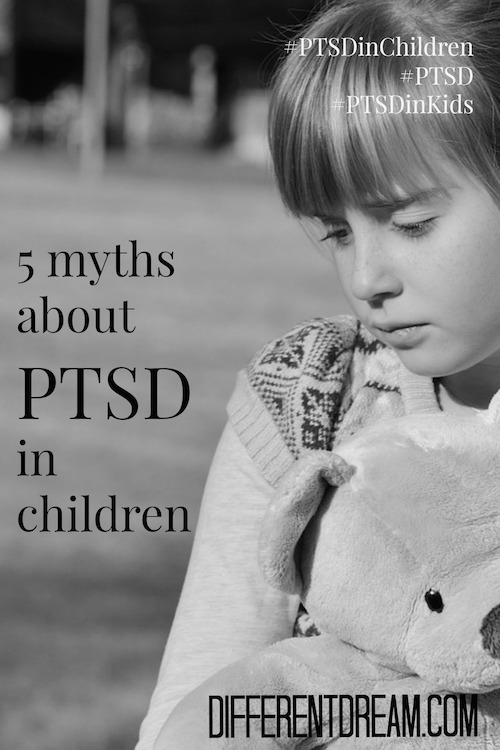 But they pale compared to the misconceptions about PTSD in children. It’s not PTSD. It’s bad parenting. Kids don’t remember what happened to them as babies. An unborn child can’t experience trauma. Please surf on over to their website to read 5 Myths and Misconceptions about Children and Post-Traumatic Stress Disorder in its entirety. Maybe this would be a good time to issue a tissue warning, as some of the information in the article is pretty grim. Even shocking. But don’t despair. 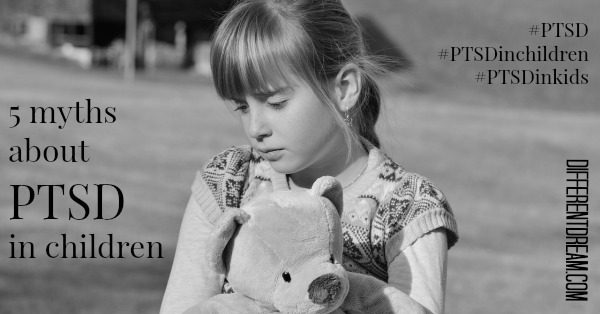 In the months to come, the Friendship Circle series about post-traumatic stress disorder in children will shed much hopeful light on this misunderstood topic. This is a highly treatable disorder, and that’s not a myth. Both my son and son-in-law went through successful treatment at the Intensive Trauma Therapy Clinic in Morgantown, West Virginia. More on that and other effective treatment methods in future posts in the series. And I promise to let you know when each one goes live. You and your children have been through a great deal. They are blessed to have parents who care for them, accept them for who they are, and work to find the treatment they need. I understand what you’re saying about how people respond when you mention your son’s PTSD. People still respond to us that way, even though our son is now 30 and a different person post-treatment. I think it’s too hard for them to believe that little children have to experience PTSD. They want it only to be for soldiers. Keep in touch about how your boys are progressing. I would love to know more of their story and yours. I stumbled across your site thru Proverb 31 Ministries. I have two sons both adopted. Jacob is 10 and adopted at birth in US. He suffered PTSD as a result of my husband and I leaving him for 7 weeks while we traveled to Ukraine to adopt our 8 year old son Nathaniel. Upon our return home May 18, 2012, Jacob was angry, tearful, had outbursts, reported nightly that he had nightmares an would end up in our bed. He was deeply depresses and clearly unable to enjoy the product of our trip. His new brother which he so looked forward to prior to us leaving him for 7 weeks. We made the best decision we could and left him with my sister and her family. Unfortunately that entailed leaving his school and enrolling in her school. Now, the stories he tells me are completely unfounded however are very real in his mind. Stories of school staff harming him and yelling at him, denying him empathy to his situation. Brutal discipline practices from my sister to the extreme, he believes, he had to ask permission to toilet or get a drink of water. Again, I say these are untrue in reality however to him this was his experience. When I tell people he is suffering PTSD they look at me like I am crazy. He has been for counseling and has made great progress. His situation turned when he finally agreed to sit with us and tell at one sitting all that he was feeling. He cried and swung his arms and legs with rage. Just knowing he was heard was all he needed. We empathized with him, I reflected what he was feeling and he felt heard. Both of my children have emotional disabilities due to ADHD,and the unknown effects they suffered in utero and possibly at the hand of pre birth substance abuse. I will likely never know what their experiences were like. Sadly people who do not understand adoption do not accept that my children are different from their biological children. I am learning a lot and reading so I can better understand and be an advocate for my children.